DRL ( Data Recovery Lab) is one of the Service provider in Data Recovery industry and has been providing a wide range of Roots Data Recovery best services since 2005. The company have Roots Data Recovery as offices in, Hyderabad, Vijawada, Vishakapatnam and also has the CLASS 100 CLEAN ROOM for advance Data Recovery from all physical damages. With proprietary Data Recovery service techniques, Skilled Roots Data Recovery experts, In-house Research & Development team and state of the art infrastructure of CLASS 100 CLEAN ROOM labs. With expertise in Hard Drive Recovery, RAID Recovery (all configurations), Server Recovery, SSD Recovery, File Recovery, Email Recovery etc, DRL recovers data from any instance of data loss – be it accidental deletion, virus attack, RAID failure or any system crash due to software/hardware malfunction. DRL possesses a vast range of Data Recovery offer you the best Data Recovery solution. Our Roots Data Recovery services and software support all major operating systems including Windows, UNIX, LINUX, Macintosh and Novell. With proprietary data recovery service techniques, Skilled data recovery experts, In-house Research & Development team and state of the art infrastructure of CLEAN ROOM labs, Roots data Recovery has established itself as a market leader in delivering 100% risk free recovery to over 2 million satisfied clients in India. With expertise in Hard Drive Recovery, RAID Recovery (all configurations), Server Recovery, SSD Recovery, File Recovery, Email Recovery etc, Roots data Recovery recovers data from any instance of data loss – be it accidental deletion, virus attack, RAID failure or any system crash due to software/hardware malfunction. 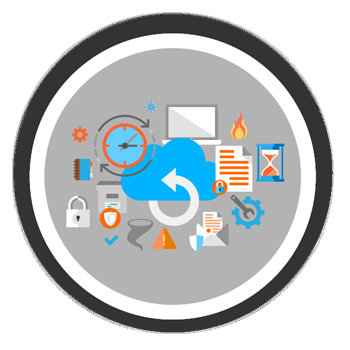 Roots data Recovery possesses a vast range of data recovery, protection, backup and safe data eraser software to offer you the best data disaster solution. Our data recovery services and software support all major operating systems including Windows, UNIX, LINUX, Macintosh and Novell.